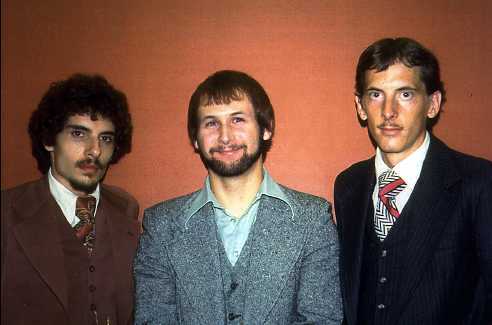 Mark Streder was born and raised in the western suburbs of Chicago. He attended public schools and received an Associate Degree in Liberal Arts with high honors from Triton College, and a Bachelors Degree in Electronic Music Composition with honors from Roosevelt University. In addition to playing piano and electronic keyboards with many of Chicagolands top musicians for 20 years, Mark Streder has owned and operated a music production studio producing many projects for television and radio broadcast as well as corporate and industrial clients. He is on the faculty at Elmhurst College teaching music theory, electronic music, and jazz piano. Who said that the 60's were just for hippies? Here he is in seventh grade ready to set the world on fire. Thirty years later he's still looking for a match. 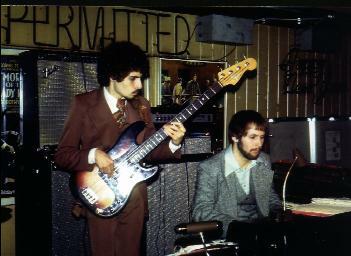 Here's the Mark Streder Trio with Michael Fiorino and Stan Ferris circa 1976. 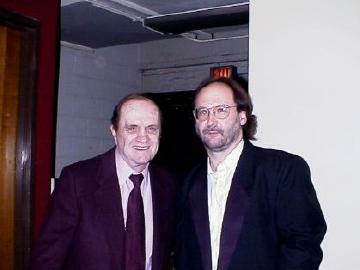 Here's Mark with Bob Newhart backstage at the Rialto Theatre.